The exhibition celebrates 300 years of the modern freemasonry. Freemasons will also be in attendance to talk about the organisation. A groundbreaking exhibition will explore the secretive world of the Freemasons. 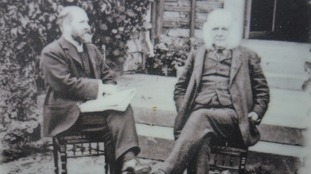 The display at Tullie House Museum in Carlisle will tell the story of the rise of the organisation throughout Cumbria. Air ambulances across the country, including the North West, are due to benefit from £192,000 from the Freemasons' Grand Charity. Twenty two air ambulance in nine regions will receive funding from the grant-making charity this year so they can continue carrying out their life-saving work. Among those to benefit from the latest funds are North West Air Ambulance, which will receive £12,000. The latest figure brings the total amount of donations made to air ambulance charities by Freemasons since 2007 to £1 million. The donations will be presented to the regional rescue services by Freemasons from across the country. "Support for air ambulance charities is very popular within Freemasonry because these vital services are at the heart of every community they operate in. "Relying on donations, these organisations save thousands of lives each year and we are absolutely delighted to report that the total amount given is now over £1 million." The Freemasons' Grand Charity is dedicated to supporting people in need in the areas of medical research; support for vulnerable people; youth opportunities; hospice services; air ambulances; and disaster relief.